The Bellevue-Issaquah Chapter of Trout Unlimited is proud to bring you the 2019 premier of the Fly Fishing Film Tour in North Bend, WA at the North Bend Theater. 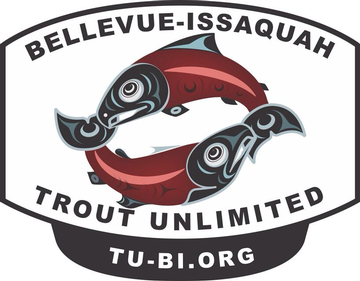 The Event will benefit the Bellevue-Issaquah Chapter of Trout Unlimited. Doors open at 6pm, Show starts at 7pm sharp - Tickets will be $18 online, $15 locally, and $20 at the door. Tickets are available locally in advance at Ace Hardware North Bend, Creekside Angling Company Issaquah and Orvis Bellevue. For information please contact Mark Taylor at blvisstu@gmail.com or 206/200-2840.